It has begun!!!! ... A Mortal Kombat movie is Koming...you in? The movie deal marks the end of a journey for Kevin Tancharoen, who will direct the new film. Tancharoen, a choreographer for Madonna and Britney Spears who directed the 2009 remake of Fame and more recently the Glee concert movie, directed a short film Mortal Kombat: Rebirth as a proof of concept for a Kombat movie he tried to pitch. A huge fan of the video game (and knowing Hollywood wouldn’t give him a shot at the title), he enlisted Oren Uziel to write the short and hired actors such as Michael Jai White and Jeri Ryan. 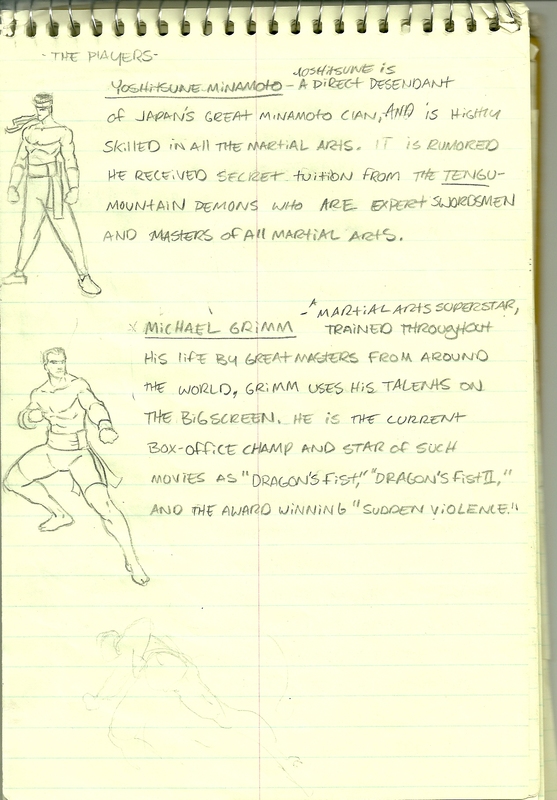 Uziel wrote and Tancharoen directed the eight-minute short film Mortal Kombat: Rebirth, which starred Michael Jai White as Jax, Jeri Ryan as Sonya Blade, Matt Mullins as Johnny Cage, Ian Anthony Dale as Scorpion and Lateef Crowder as Baraka. Tancharoen did this with the idea that he could prove himself to Warner Bros as an action director and reboot the movie franchise. Initially, Warner Games, which put out a video game reboot in April 2011, wasn’t amused and sought to shut down the project. But Tancharoen’s effort created enough of a demand when it leaked online that the studio’s digital division, Warner Premiere, made a deal with him to generate a 10-episode Web series. Those episodes began airing on YouTube in April 2011. Warner Bros.' New Line Cinema label is partnering with the Burbank studio’s video game unit Warner Bros. Interactive Entertainment to adapt for the big screen the tournament fighting series, which debuted on video game consoles in 1992. New Line is aiming to produce the new film next year and release it in 2013. "It's really important that we show we can bring our game properties to movies instead of just the other way around," said Warner home entertainment President Kevin Tsujihara. Tancharoen has now been tapped to direct the feature film, which is being written by his partner Oren Uziel. New Line president Toby Emmerich said the idea to do the movie came entirely from the work the director did online. "The new game and the online shorts prompted us to consider a reboot of a brand we hadn’t been actively thinking about," he said. Tancharoen said his new movie, which is expected to be produced for well under $100 million, will offer a more realistic take on the Mortal Kombat characters, who are best known for over-the-top killing moves called "fatalities." Because the Mortal Kombat games and movies are now being made under the same studio roof, the film’s release is expected to be coordinated with the next game. Emmerich and Tusjihara both said they hope the next Mortal Kombat game will come out when the movie hits theaters, or potentially in a single package along with the DVD and Blu-ray. Development of a “Mortal Kombat” movie had been held up by litigation between Warner and producer Lawrence Kasanoff, who worked on the two 1990s movies. The studio prevailed in one lawsuit over royalties owed for the years 2000-2004, but cases are pending over royalties for 2008 and ownership of the movie rights. While Tsujihara declined to comment on the litigation, people close to the movie but not authorized to discuss the matter publicly said they believed the two sides were close enough to a resolution to move ahead on the project. Kasanoff and his attorney did not return calls requesting comment. 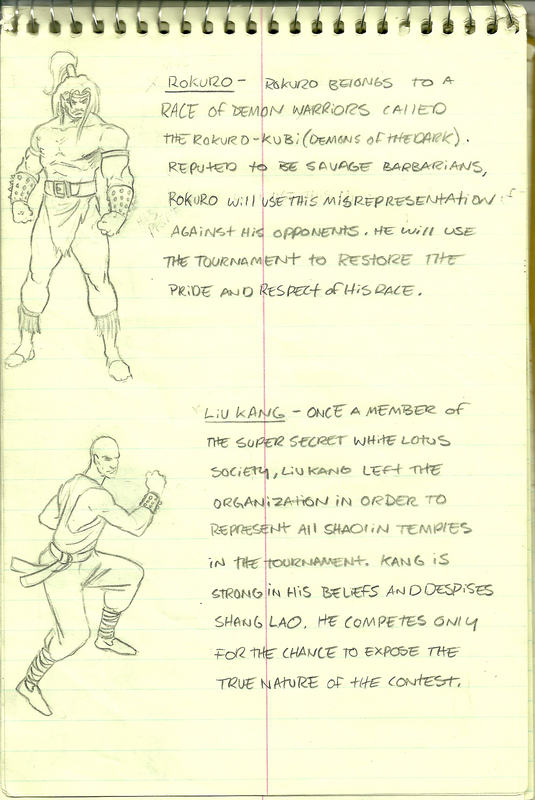 Stay Klose to Mortal Kombat Secrets as we bring you the latest news on the Mortal Kombat Universe. 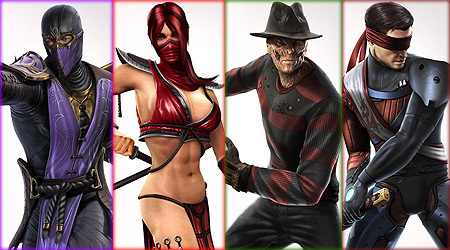 Also, follow us on Twitter for the latest tweets from the Mortal Kombat universe. • Fixed a couple of crash scenarios. • You should no longer see online desyncs on Xbox that are related to alternate costumes or classic costume DLC packs. • MOTD handling and displaying code was tweaked. • Fixed a bug that could have resulted in tweakvars getting corrupted. • Fixed a crash in player select if you tried to exit out while the dlc box was open. • With the exception of Human Cyrax and Human Sektor, everyone’s alternate costumes should behave the same as their primary costumes and have the exact same move properties. • You can now block after a dash forward is completed if it was cancelled into from a special move. Canceling out of a dash into another dash was normalized for most of the characters. Dash Block canceling remains the same. • You no longer get a completely free throw attempt after someone blocks your jump punch. The opponent has less block hit frames but chained combos from a jump punch will remain the same. • There were several reactions that could freeze players just before they landed from attacks and reactions such as Kano’s Airball and Cyrax’s Net air reaction. • Made many minor hitbox adjustments. • Tweaked the negative edge window. • Several low attacks were being parried incorrectly. • Nightwolf and Kenshi can no longer still absorb a projectile if they get hit out of their enhanced reflects before the recovery frames start. • Baraka's Blade Spin move starts up faster and is safer when blocked. • Baraka's Enhanced Blade Charge (Blade Rush) attack goes farther now. • Baraka’s Chop Chop no longer auto corrects mid-move. • Baraka’s has a new D1 low poke. • Cyber Subzero can no longer handcuff certain characters by catching a wakeup attack with his enhanced Ice Parry. • Cyrax's Bombs will no longer pop someone up who is in a 2nd Net reaction or in a Buzzsaw reaction. • Cyrax's mk3 costume should behave the same as the primary costume now. • Ermac can no longer leave an invisible fireball collision around. • Fixed damage scaling a few of his reactions. • All of Jade's Enhanced Boomerangs (Reboomerang) will now return when the first hit is blocked. • Jade’s Staff Grab is slightly safer when blocked. • Jade’s U3 attack (Pole Vault) can be ducked. • Jade’s 4,F3 kick (Polecat) is safer when blocked. • The armor on Jax's Enhanced Dash Punch (Dash Fist) and X-Ray (Briggs Bash) now starts instantly. • Added armor to the startup of Jax's Enhanced Elbow (Elite Smash). • Jax's projectiles (Energy Wave) recover a tiny bit faster. • Jax’s towards 3 attack (Big Leg) is now an overhead. • Jax can no longer frame trap someone with his Gotcha Grab. • Johnny Cage's Nut Punch does slightly less damage. • Johnny Cage's sweep kick has less advantage on block or hit. • Kabal can no longer leave an invisible fireball collision around. • If you don’t charge and hold the Enhanced Kano Ball it will now keep its armor. • Kano’s Enhanced Knife Toss recovers faster. • Kitana's Fan reactions on an airborne opponent damage scale correctly now. • Kitana's X-Ray (Fan-Tastic) can no longer be reflected. • Removed the pushback on Kunglao's spin when blocked. • Ground Hat now leaves both players at neutral when hit close and leaves Kung Lao at a disadvantage when blocked up close. • Kung Lao's overhead hat attack is slightly safer when blocked. • Lui Kang's Parry now can correctly give a first hit bonus! • Nightwolf's reflect should work better as a wakeup attack. • Noob's Teleport Slam should connect better with some opponents. • Noob should no longer be hit on the ground after he is up in the air for his teleport. • Noob’s Shadow Charge hits overhead. • Fixed an isse where Quan Chi's Skull Projectile (Skull Ball) could sometimes become invisible. • Added some armor to the Quan Chi’s Enhanced Sky Drop (Sky Stomp). • Raiden can no longer unavoidably frame trap someone with his Vicinity Blast. • Raiden has 2 additional recovery frames on his normal Teleport. • Raiden can’t be hit during his Enhanced Teleport (Sparkport). • Reptile whiffed Elbow Dash now builds slightly less meter. • Reptile is held slightly longer after knocking someone down with the Elbow Dash. • A blocked Reptile Elbow Dash no longer pushes back. • Reptile's Enhanced Slide (Slime Trail) now has armor on it. • Reptile can no longer leave an invisible Forceball collision around. • Scorpion's Leg Takedown is safer when blocked. • Scorpion's Enhanced Leg Takedown (Takeout) now has armor on it. • Sektor’s X-Ray (Massive Missile) can no longer be reflected. • Shang Tsung’s Enhanced Soul Steal (Soul Capture) activates faster. • Sheeva's Fireball is a mid block now and the Enhanced Fireball (Fire Blast) is an overhead. • Sheeva's Ground Pound can correctly give a first hit bonus! • Sheeva's Enhanced Jump Stomp (Jump Crush) now has armor on it. • Sheeva's Air Grab has better anti-air collision on it. • Sindel can no longer leave behind an invisible fireball collision around. • Sindel’s B1 attack is a low block. • Sindel's regular Scream is slightly faster nd the Enhanced Scream is a lot faster now. • Sindel’s Scream (Yell) can no longer be parried. • It’s no longer possible to handcuff opponents with Smoke’s Vibration (Shake) Parry. • The armor on Sonya's cartwheel (Krazy Legs) lasts until the first collision and Archkick's (Arc Wave) armor lasts until her arch is almost over. • Sonya's 1,1,4 (Fierce Assault) no longer true combos into 2in1’d special moves from it. • Sonya's 3,1,4 (Beat Up) no longer true combos into 2in1’d special moves from it. • Stryker's Enhanced Baton (Baton Bash) Sweep’s 2nd hit is an overhead and is safer when blocked. • Stryker's Grenades recover slightly faster. • Stryker's Baton Roll starts up faster and the enhanced version has armor on it for a longer time. • Stryker's Grenade Toss and Baton Sweep do slightly more damage. • Stryker’s B1,2,2 (Beatdown) combo is safer when blocked. • Fixed some of the Ground Freeze reaction properties which were causing some other gameplay issues. • Sub Zero's Enhanced Slide (Power Slide) now has armor. • The opponent is frozen for 10 additional frames to allow him to at least get a slide in for some trade cases were he could get nothing before. • Freddy’s Nightmare Stance can’t be repeated instantly anymore. • Fixed a bug where Freddy could get stuck being immune to projectiles. • Freddy forward and backward Teleports (Hell Shift) build slightly less meter. • Some of Freddy reactions were not damage scaling correctly. • Tweaked the recovery on some of Freddy specials. • Kenshi’s X-Ray (Soul Blade) can no longer be reflected. • Kenshi’s F2,2,B1 (Absentminded) reaction no longer lets opponents be hit just as they hit the ground. • Skarlet has an additional 10 frames before she can cancel out of her normal dagger toss. • Skarlet can no longer 2in1 cancel out of her Slide attack from her Red Dash. • Skarlet’s back throw now does normal damage. • Skarlet can do her U3 (Lifting Leg) attack from a dash now. Click here to go to the walkthrough. We will be happy if you share your thoughts with us so let us know whether you liked it or not.